When I'm in a hurry, one of my favorite workouts is a high intensity circuit training. 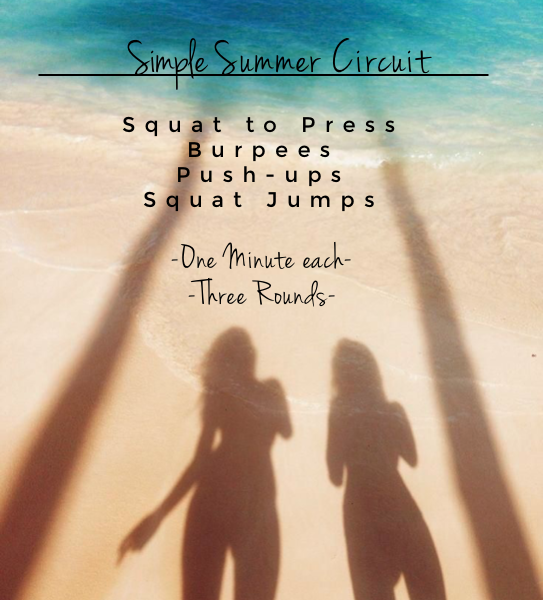 This simple summer circuit will only take 15 minutes. Set your watch timer for five, one-minute intervals. Do as many reps of each exercise as possible for one minute each, when you're finished take a one minute break... then do it again two more times! I've been using my new Kohl's Casio Active Watch to time my intervals and it's been so helpful to transition seamlessly from one exercise to the next. I forgot how much I love wearing a watch! Kohl's Active Watches are a great fitness tool when going for a run, timing intervals or even set reminders. In an age where we are constantly attached to our cell phones, wearing an active watch allows us to shut out the emails, etc and focus on our workout. 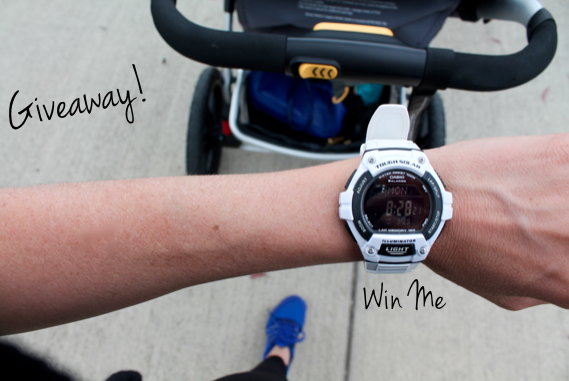 Lucky you, I'm hosting a giveaway for a Kohl's Casio Active watch!